Kaiju Mk. I transformable strike fighters in Golem mode. 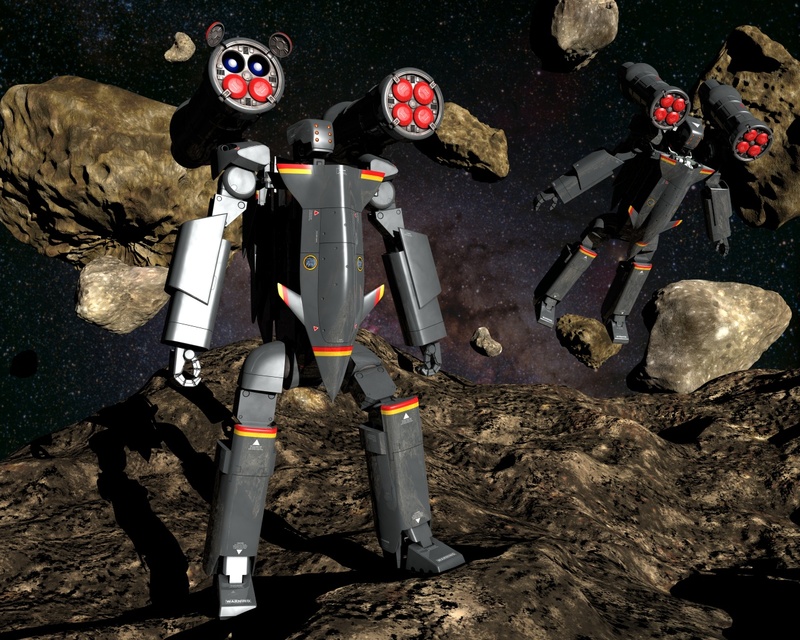 Seen during exercises in the Solomon star system's Beta asteroid belt, the Kaijus shown are equipped with quadruple mid-range missile pods, one of the many modular weapons systems capable of being mounted on the Kaiju mecha to greatly increase its firepower. From the novel An Unproven Concept by James Young. Kaiju golem model based on the drawing by Steven Sanders (www.studiosputnik.com), original design by James Young and Steven Sanders.